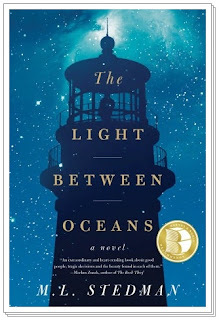 The trailer for The Light Between Oceans has arrived and it will tear you in two. I read the book last year, found the story devastating and can’t wait to see the emotionally rich material on screen. Michael Fassbender and Alicia Vikander are perfect for the parts of Tom and Isabel, and watching the trailer brings all the painful emotion of the book right back. The film directed by Blue Valentine’s Derek Cianfrance also stars Rachel Weisz, the beautiful score is from my composer crush Alexandre Desplat with cinematography from Adam Arkapaw who also shot Macbeth. The Light Between Oceans doesn’t get released here in the states until September 2 and not until January 2017 for the UK!! In the meantime I’ll be watching the trailer over and over again. I know I’m gushing, but talk about being Hollywood’s royal couple (and yeah, I know neither one is from Hollywood); the pair has an immeasurable amount of talent. Vikander practically steals The Danish Girl from Eddie Redmayne and his Steve Jobs is a work of art. Can’t wait for this one! Please, please read the book. It’s simply unforgettable. Watch the trailer courtesy of The Guardian. I lost count of how many times I have seen the trailer, it's jsut perfection. They amazing chemistry and everything looks gorgeous. Exactly! And Fassbender’s voice?! Oh my God, I could just listen to that all day.